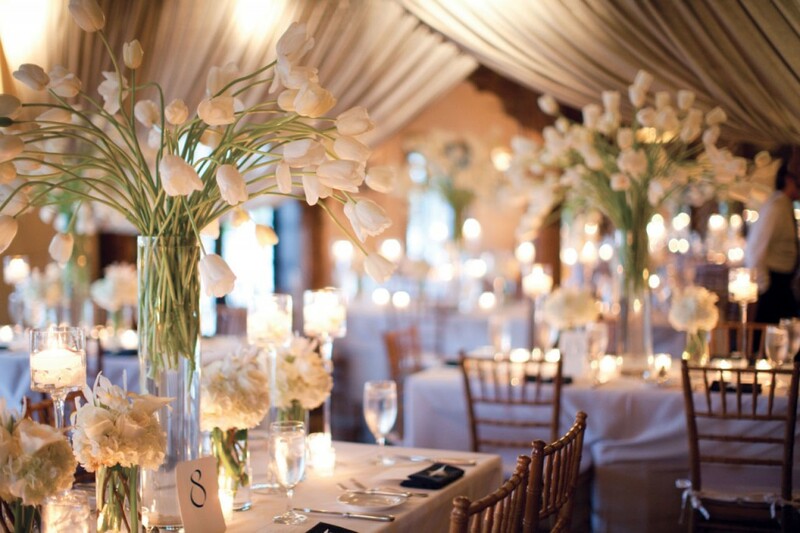 For this week’s roundup, we’re turning to what is positively one of the prettiest part of any wedding: the flowers!. I am kind of obsessed with flowers, and the thought of walking up a floral aisle, or to see incredible centerpieces adorn the table just blows me away. One can do so much with flowers. 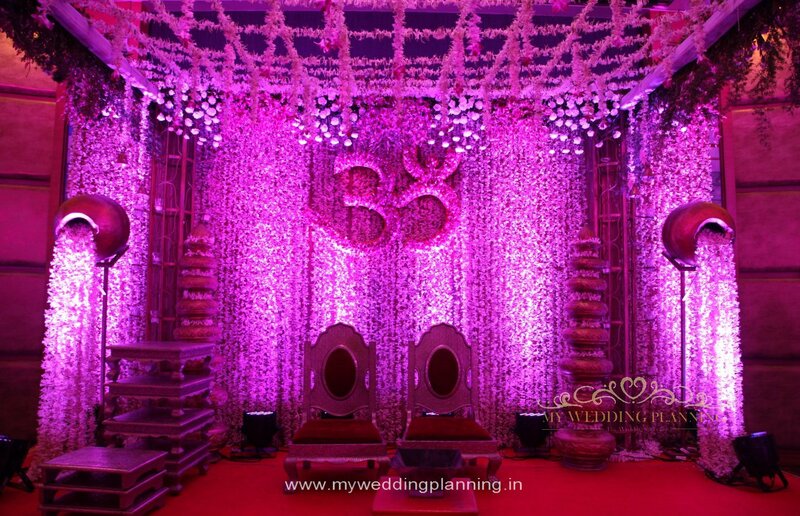 At most Indian weddings, flowers are used to decorate the mandap, the stage backdrop, the entrance and the table centerpieces. 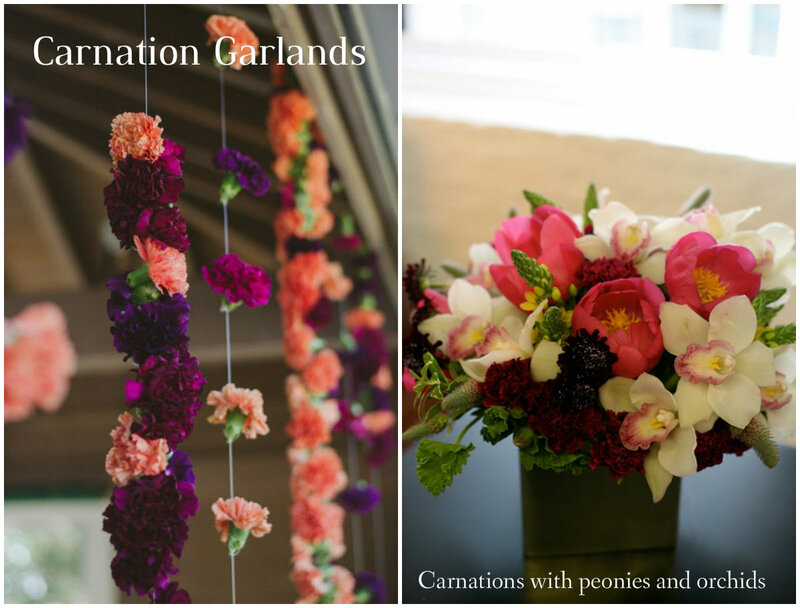 Lately, floral installations and floral props of all shapes and sizes are used to make a grand impact. I love seeing lovely floral peacocks and swans that make the place so lively. One of my favorite decor element is birdcages oozing with floral arrangements. So romantic. 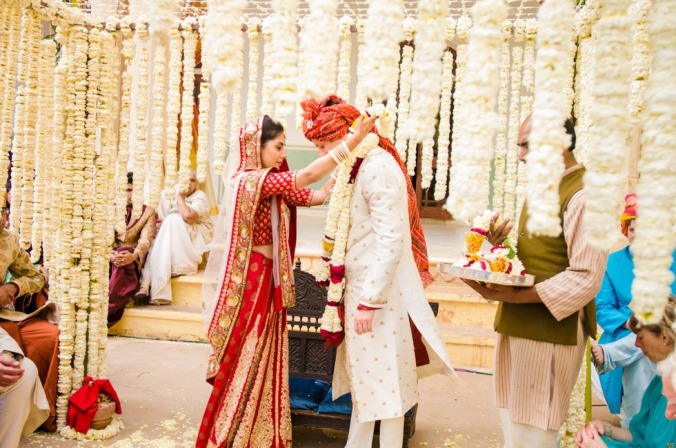 Here is a brief introduction to Indian flowers and International flowers that are used at Indian weddings. Hope it helps you find your fav ones! 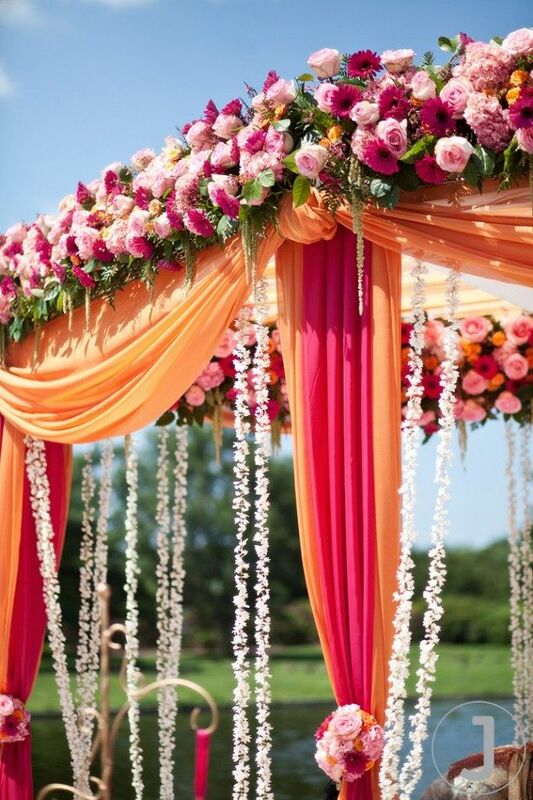 There are many traditional Indian flowers that can be used to make your wedding look lovely and romantic. From the most popular choices like Carnation, Rose, Jasmine (chameli), Tuberose (rajnigandha) to African daisy (gerbera) and Marigolds (genda), different types of flowers exude a different charm to the decor. Roses and Gerbera come in many varied colors and are easily available the entire year round. Marigolds come in bright yellow, white and orange and are among the less expensive flowers used at weddings. 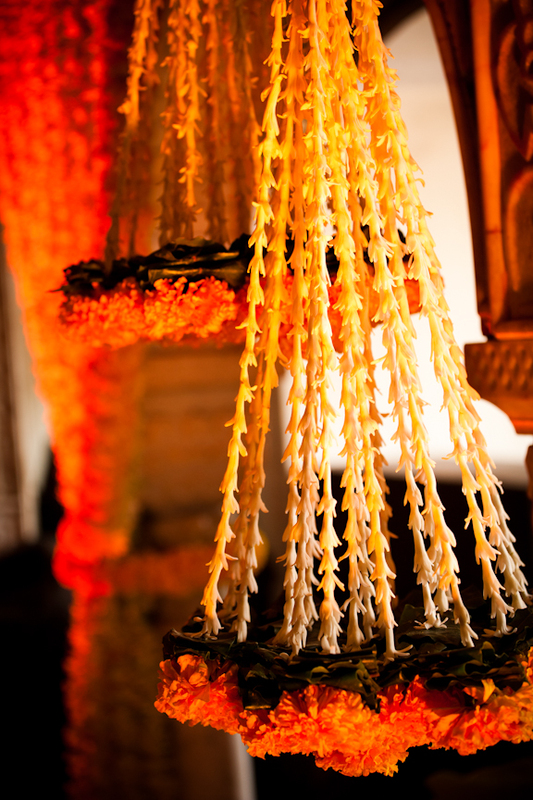 Rajnigandha, jasmine and mogra are used for their royal ethereal white hue and strong fragrance. They are considered to be the most traditional flowers and auspicious too. 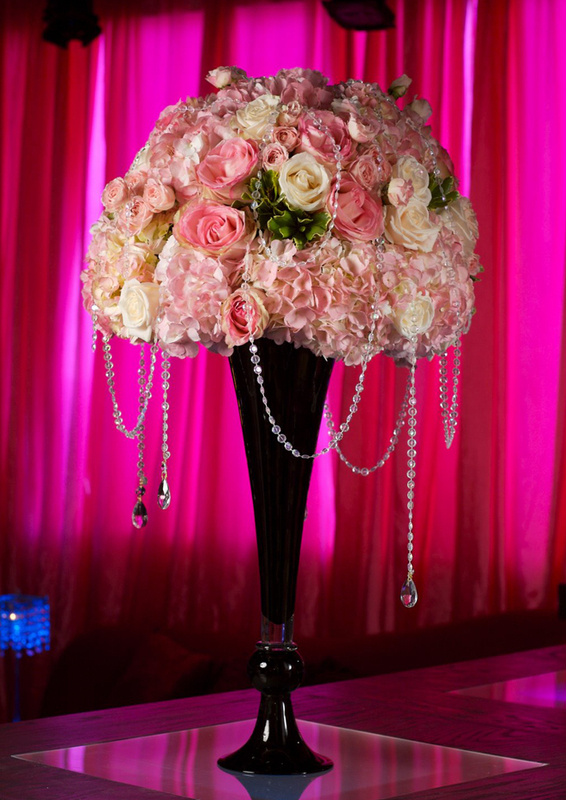 Carnations and roses are commonly used as centerpiece flowers and also used to enhance the entrance arch of the venue. 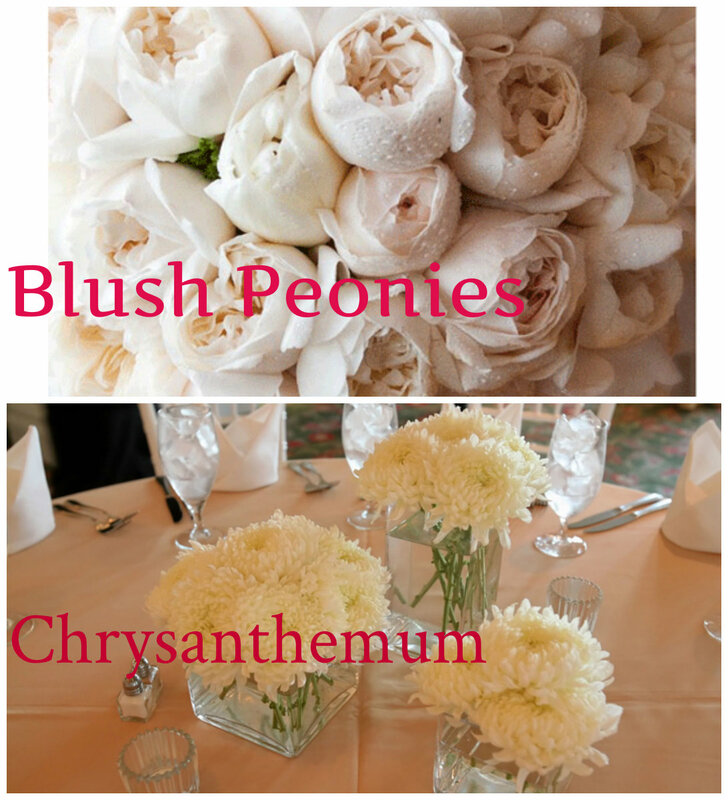 There are no wrong or right choices for wedding flowers. What matters is that it is appropriate for your wedding style. 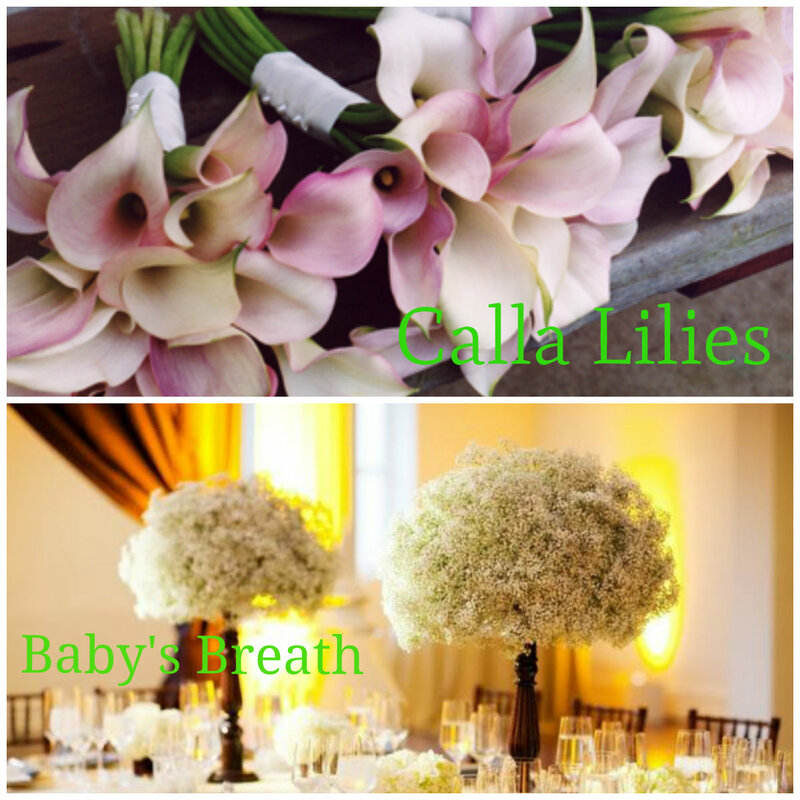 Consult your wedding planner or decorator to guide you about the different types of looks that can be created by using different flowers. 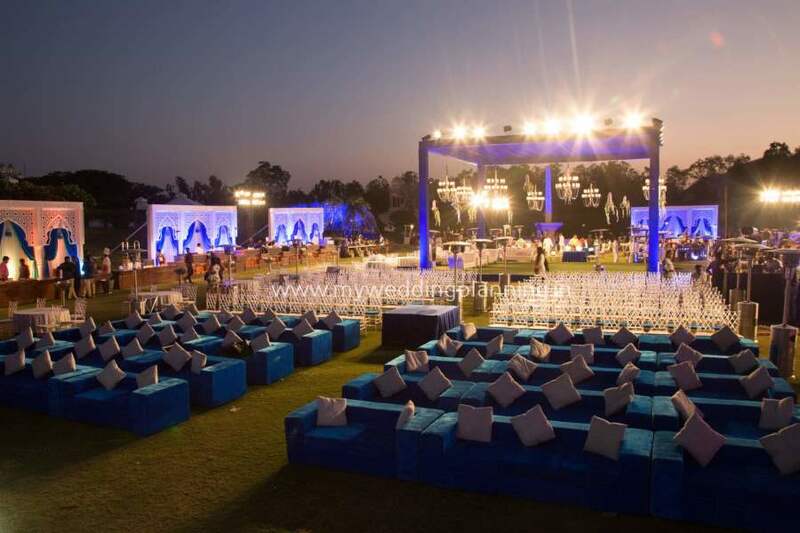 They are the experts that can help you on which type of flower can be used where it must be placed to enhance the venue’s look, and the arrangement that can totally bring out the flowers’ beauty. 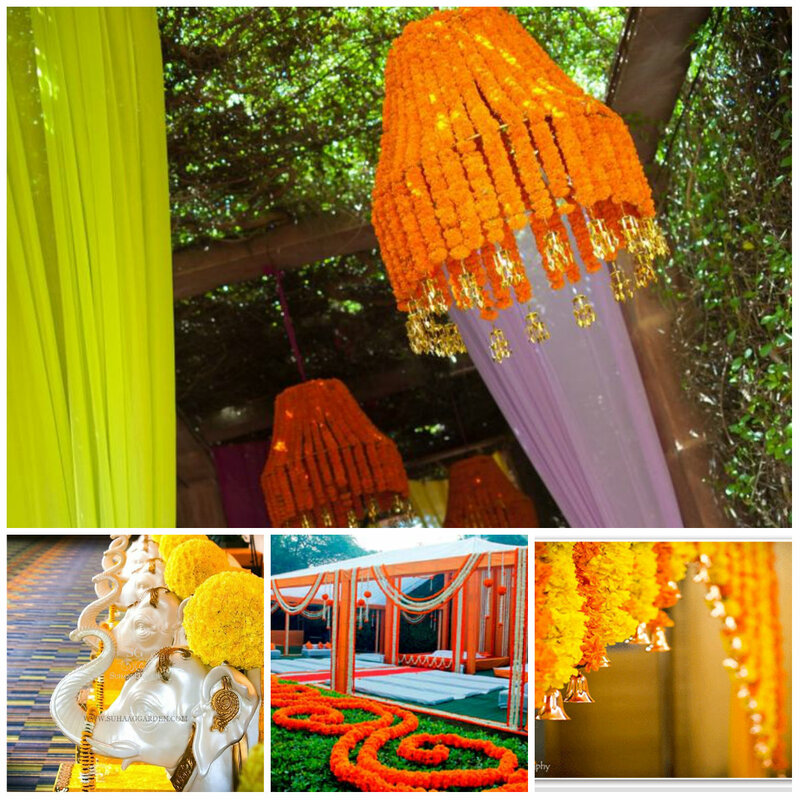 They also know which flowers are the best for mandap decor, centerpieces, and everything that has to do with it. For instance, marigolds are bright and less expensive and can be used in mehendi decor;while carnations and roses are more suitable for the wedding and reception. 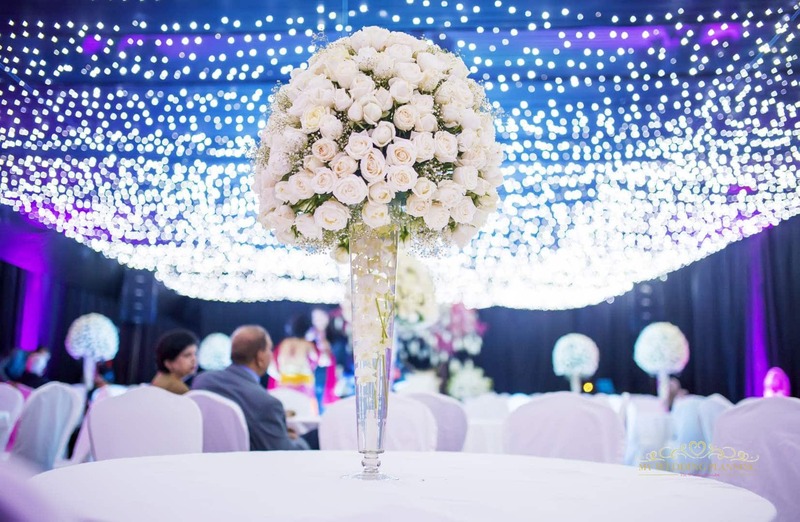 Budget is also a big factor when it comes to wedding flower selection.Wedding flowers are expensive and can take up a considerable amount of your wedding budget. 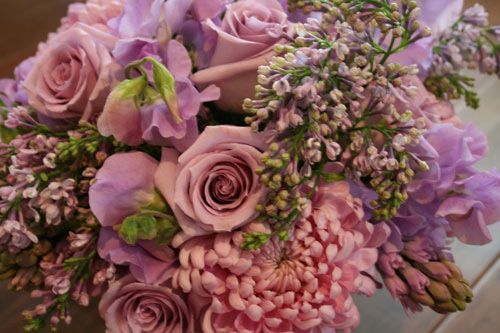 If you want to save costs on wedding flowers, what you need is not a grand floral arrangement but a creative mind. You can mix and match local flowers with International ones. 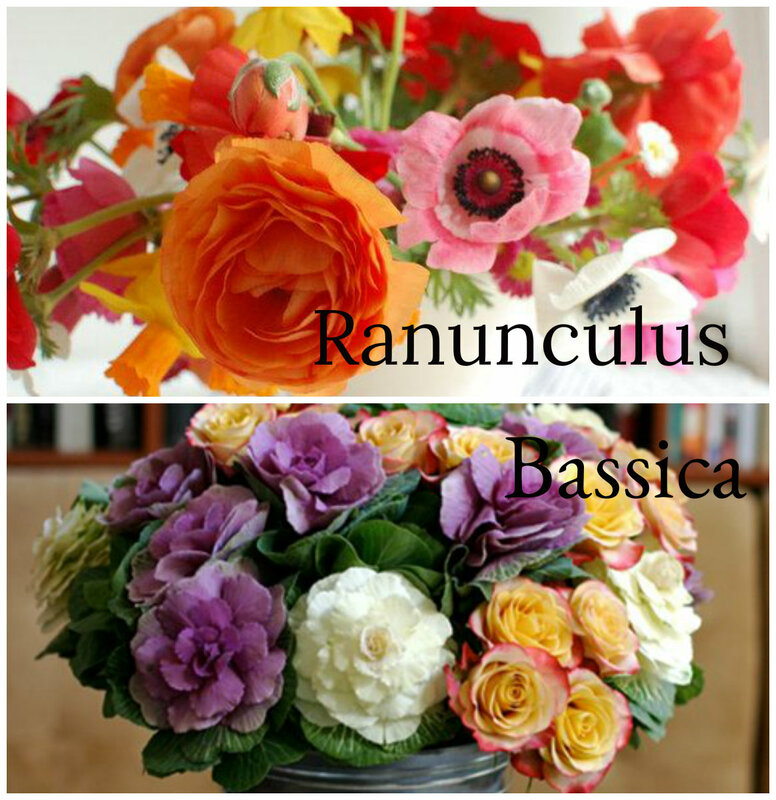 Instead of buying exotic flowers, you can opt for simple and cheaper ones and display them creatively . You can invest on the vases that will be used to complete its look. It is also very important to consider the season. Not all flowers are available all the time. 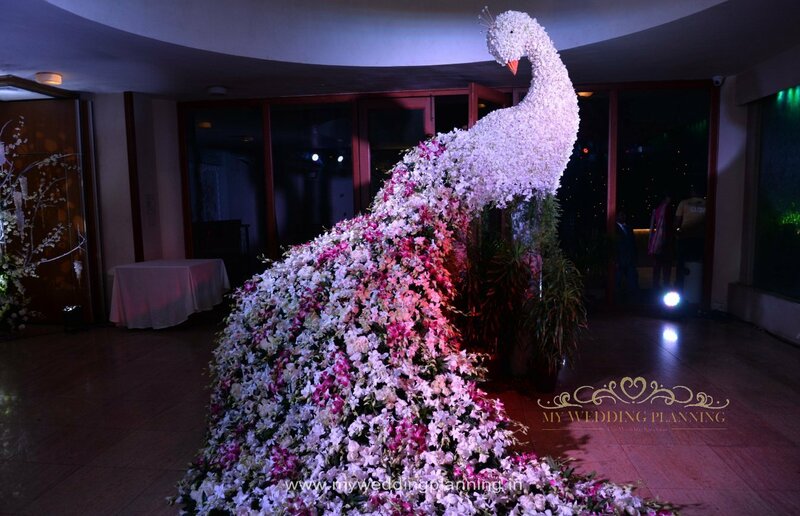 Tulips, Ranunculus, Chrysanthemum, Dahlia’s, Orchids, Freesia, Delphinium, Peonies, Hydrangeas and Calla Lilies are the most popular International flowers used in wedding decor in India. PreviousPrevious post:Lehenga Lookbook: 10 Stunning Peach Wedding Lehenga’sNextNext post:A Pre Wedding Shoot at Udaivilas followed by a Mumbai Wedding for this Sabyasachi bride!